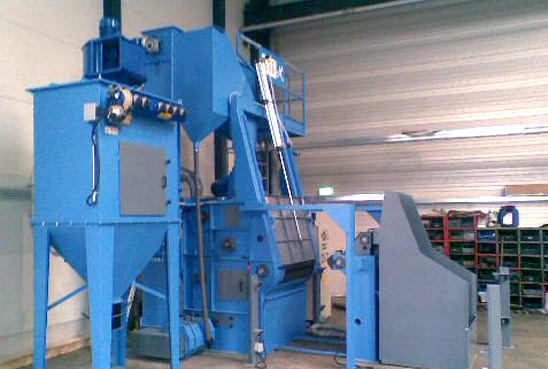 Wheel blast machines designed for bulk treatment are recommended for treating small and medium-size elements which can be tumbled in large group. The essential feature of these machines is the minimum space needed for installation. 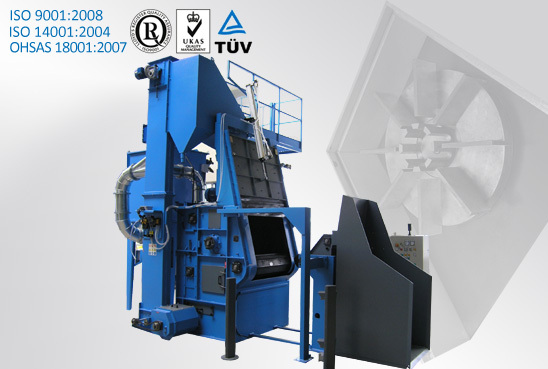 The tumble machines are equipped with a “C”-shaped band where elements are loaded and treated. 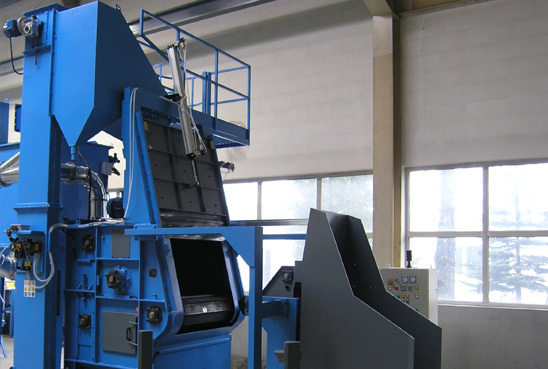 Tumble machines can be equipped with a rubber belt designed to treat small and medium-size elements or steel belt (manganese steel) designed to treat heavy elements of small and medium-size. Applications: derusting, descaling, deflashing, painting surface preparation.